Place 5 or 6 eggs into the muffin tin and present it to the child. Encourage them to explore the items. While they are playing, converse with them about what they are doing. You can talk about the different colors they are touching or how they are moving the eggs around. 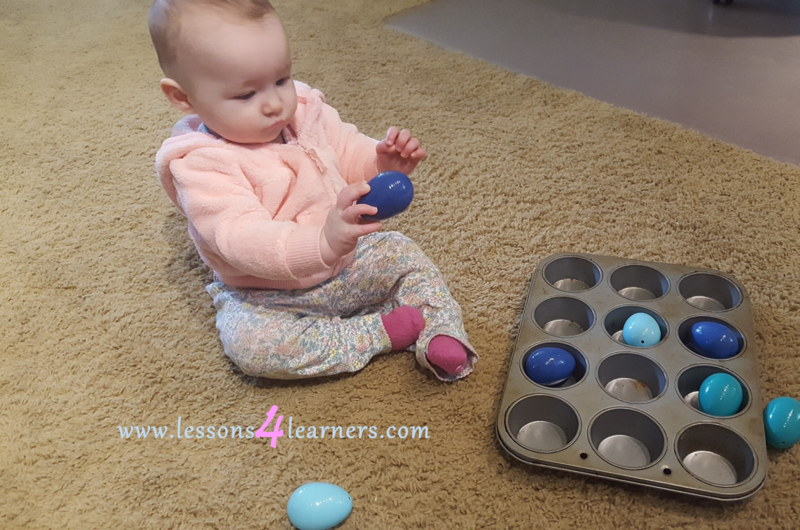 **This lesson can be modified for older children by putting colors in a pattern on the bottom of the muffin tin and having them match the pattern with their eggs. Observe and record the child’s fine motor skills. What did they try and do with the eggs? Did they try and place two eggs into a hole? How many times did they take in eggs in or out? Spiritual development begins in infancy with feelings of security and a sense of wonder. Feeling loved and cared for establishes a sense of worth and inner peace even in very young children. This feeling of belonging and having a place in the world is vital to healthy development. Offering experiences that invoke curiosity and wonder nourish spiritual development. Many of these experiences for young children will be through sensory explorations both indoors and outdoors in the natural world. During outdoor time they can be encouraged to appreciate nature, observe its beauty and wonder and treat it with respect. 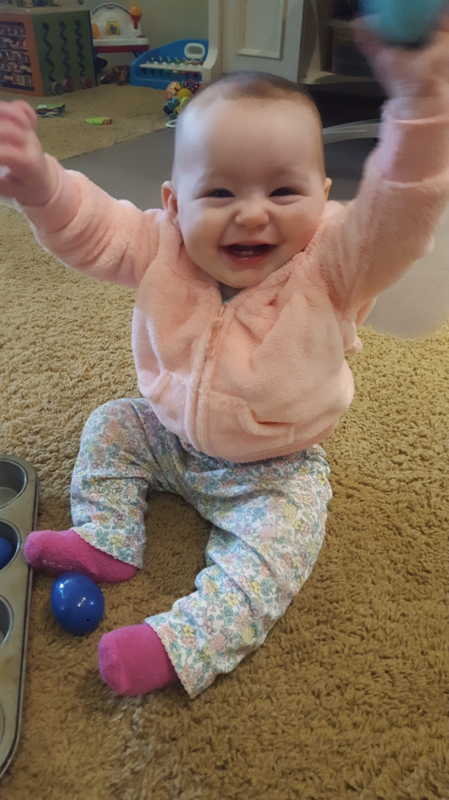 We can see and hear positive spiritual development in the smiles, laughs, giggles and content cooing of infants. These behaviors are the evidence of being cherished. Being valued assists children to build relationships where they can value and care for other people.